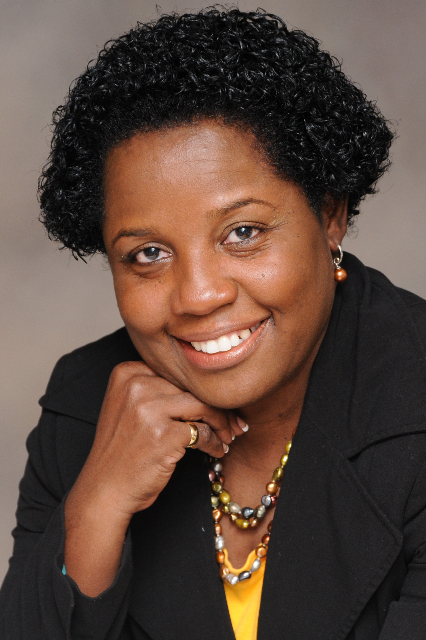 Karlene Sinclair-Robinson is the Founder and Managing Member of KSR Solutions, LLC. She founded KSR on the premise that more was needed to help lower and eventually eliminate the business failure rate. The realization that she could make a difference was the key to the creation of the company. With over 15 years of experience in business, Karlene has been called a ‘Business Knowledge Superstar,’ and “The Queen of Business Financing.” She is considered a foremost expert in ‘Alternative Business Financing,’ business development, growth strategies, credit management, small business and start-up management for success. She has created a brand and name in the areas of financing, small business, startups, entrepreneurship, and growth strategy. Karlene believes ‘finding your passion’ is the key to unlocking your entrepreneurial and life success. She is a strong proponent of taking one’s skills and creating something valuable and viable that will solve someone’s problem, ease their pain, or make them happy. Karlene has been an entrepreneurial instructor and trainer for over ten years. She has consulted, instructed, coached and counseled over 3,700 entrepreneurs during her 15-plus years entrepreneurial career. Karlene has also created ecourses with enrolled student count just over 7,000. She is also a motivational speaker on personal upliftment and business-related topics. Karlene Sinclair-Robinson is also the author of the book: ‘Spank The Bank: THE Guide To Alternative Business Financing.’ She is currently the Assistant Finance Director for a non-profit organization tasked by the U.S. Small Business Administration to support start-ups and small business owners through development, growth, and expansion. Karlene is also an Adjunct Professor at a local area community college. Karlene has been featured in numerous interviews, magazines, and articles on the topics of Small Business, Entrepreneurship, Alternative Financing, Leadership, and more. Karlene is originally from sunny Montego Bay, Jamaica. She currently resides in the Alexandria, Virginia suburbs with her husband, son, daughter, and pet dog. She enjoys volunteering through her church and kids’ school, loves music, reading, cooking, and family fun time. Karlene believes that ‘If You Dream It, You Can Achieve It,’ so let us help you achieve your entrepreneurial dreams.